I am an artist living just outside Philadelphia. Born and raised in New York City, I trained and practiced as a physician before changing course; originally a lifetime avocation, art became my full time practice. I work mainly in acrylic on canvas but also make monoprints. My abstract landscape paintings are based on close observation and drawings of nature and are executed back in the studio. I exhibit and sell my work primarily in the Philadelphia area and my paintings can be found in personal and corporate collections including PNC Tower Headquarters in Pittsburgh and Thomas Jefferson University Hospital. I am a member of 3rd Street Gallery, Cerulean Gallery and David Rocco Gallery in Philadelphia. 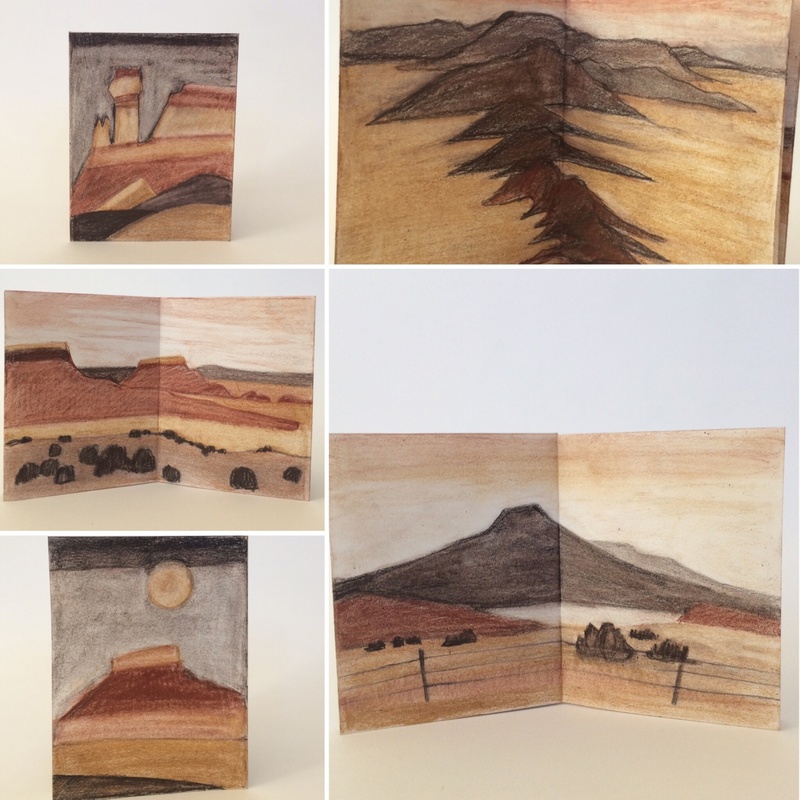 Scenes of New Mexico mountains and monuments in colored drawing pencil.